I just sent two quilts for new babies of good friends. You know in the south that football is really big! Well, this Auburn girl made an Auburn quilt and an Alabama quilt. 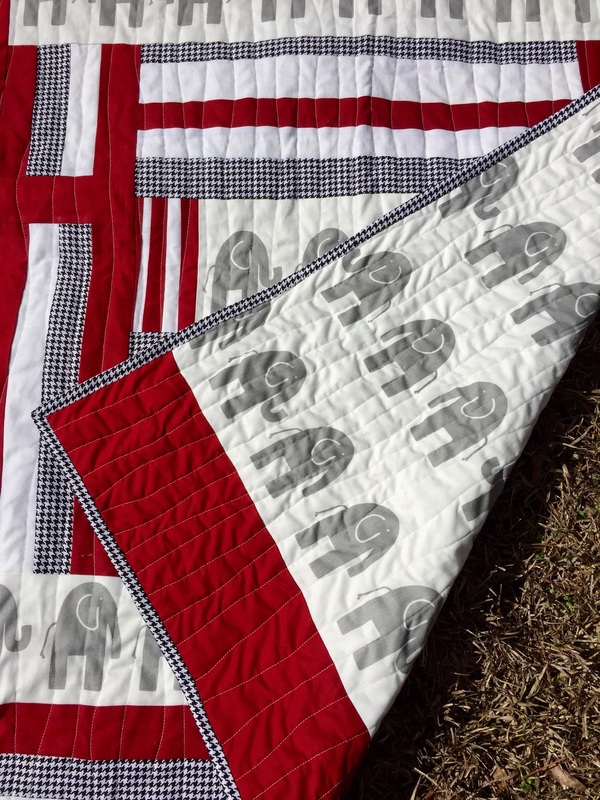 It was hard but I got through the Bama quilt! 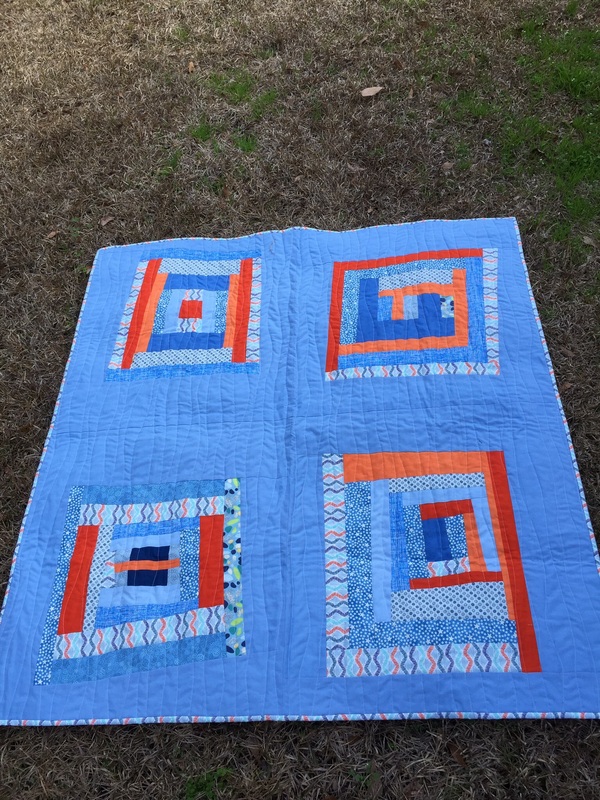 First the Auburn quilt for Duncan. 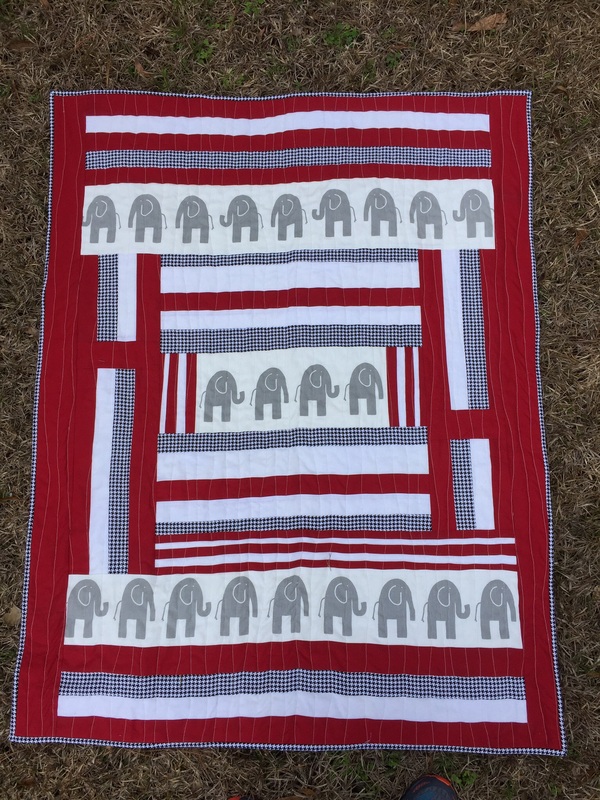 And the Alabama baby quilt!! Now, I’m going to work on some unfinished things I’ll be posting soon. 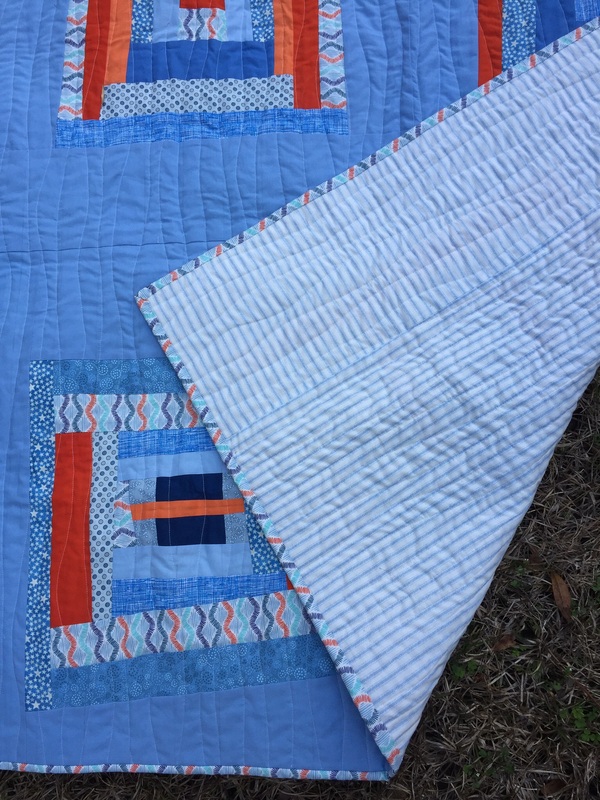 This entry was posted in Uncategorized and tagged Baby Quilts, Improv Piecing, Improvisational Piecing, Modern Quilting, Modern Quilts. Bookmark the permalink. They are both great but you know I love the Auburn one best! How cute, Diane! Lucky little babies! Love your quilts and am sure the mothers and grandmothers are going love them!